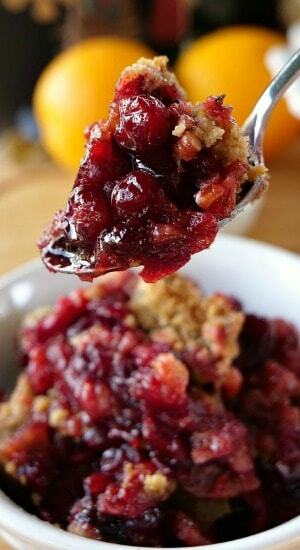 Here’s a perfect dessert for the holidays, a cranberry orange pecan crisp that is super easy to make, tastes absolutely delicious and is very festive on the dessert table. 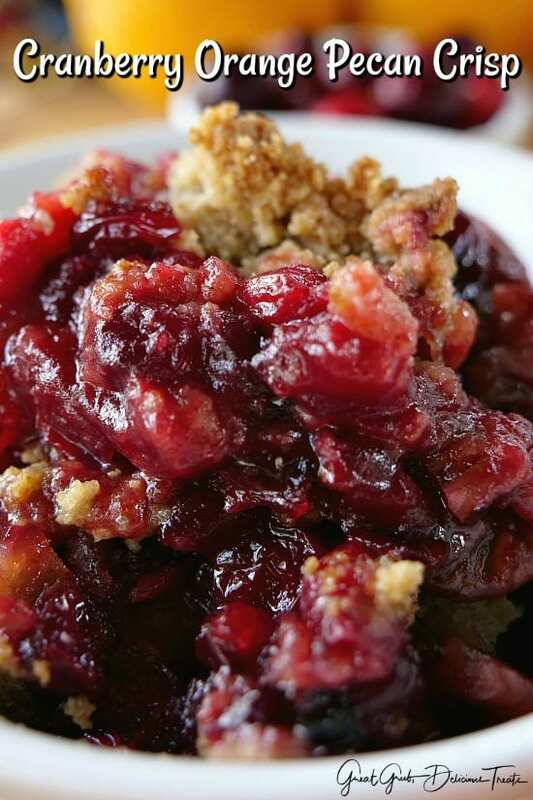 Cranberries and pecans go hand in hand and then with the addition of the orange makes this one scrumptious dessert. 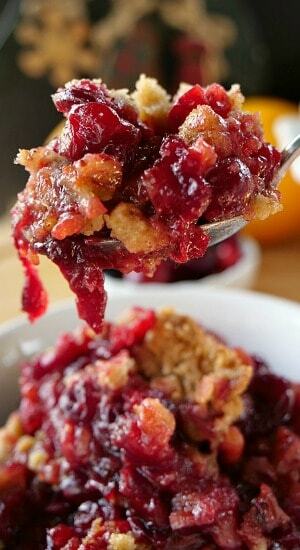 The cranberries are bursting with delicious flavor, and the zest of the orange along with the juice, just tops off this fruit crisp. And let’s talk about the crunchy topping, oh yum! 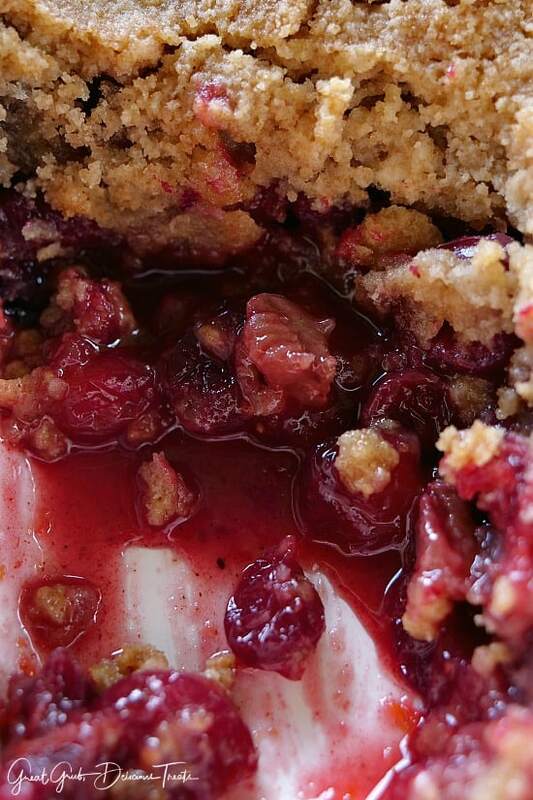 This is THE BEST fruit crisp with the most flavor that I have made to date. It’s SO friggin’ good! Definitely sweet. 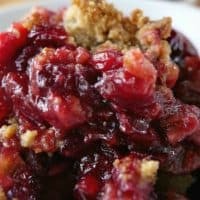 With each bite, the crunchiness of the pecans, the little bursting cranberries and the orange zest, brings this all together for one super delicious holiday dessert perfect for Thanksgiving or Christmas. 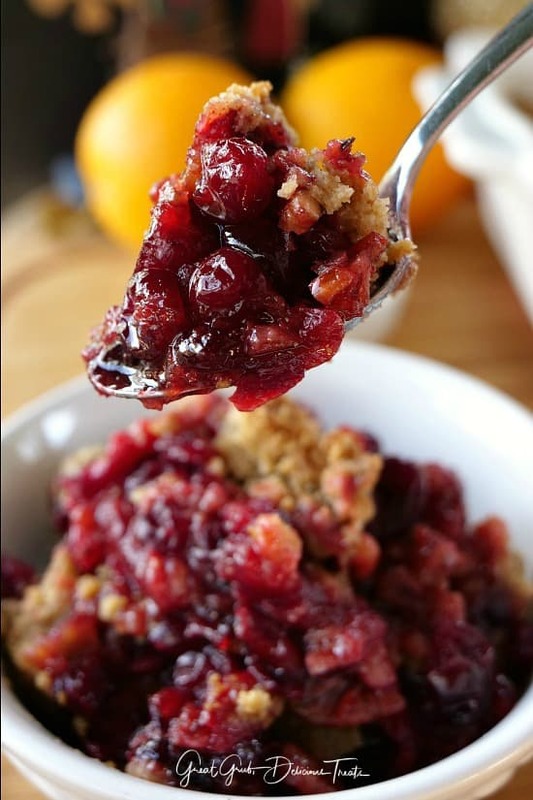 If you are a lover of cranberries, this is perfect to satisfy any cranberry craving. 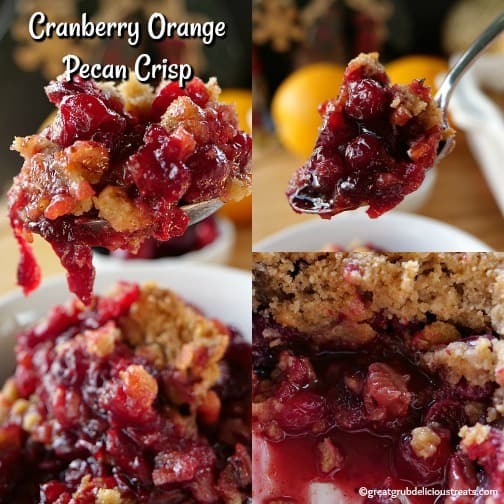 Super simple and everyone will love this cranberry orange pecan crisp. 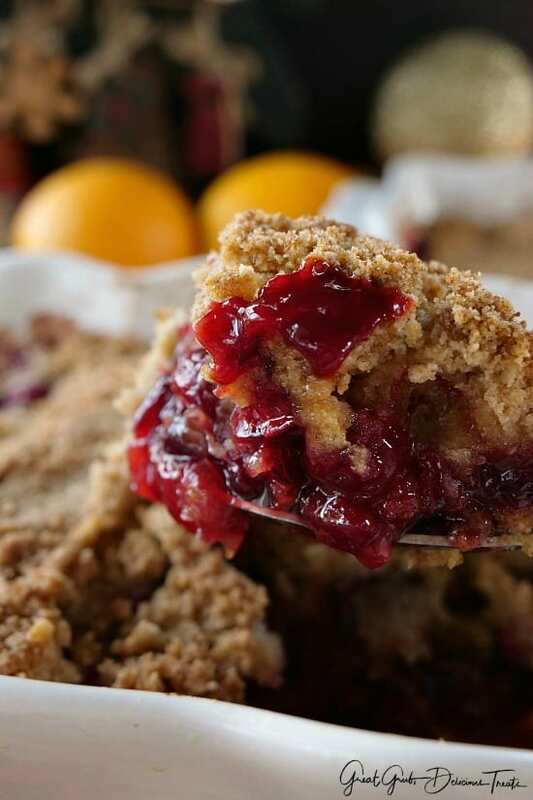 Here are a few more delicious fruit crisp recipes you can find on the blog: Apple Pear Walnut Crisp, Blueberry Walnut Crisp, Blackberry Walnut Crisp, Pear Walnut Crisp, and Peach Crisp. Rinse cranberries and add to a large bowl, add pecans, orange zest and the juice from one orange. Stir in sugar mixture and gently mix until cranberries and pecans are coated well. Bake uncovered at 400° for 45-55 minutes, or until the top is golden brown.